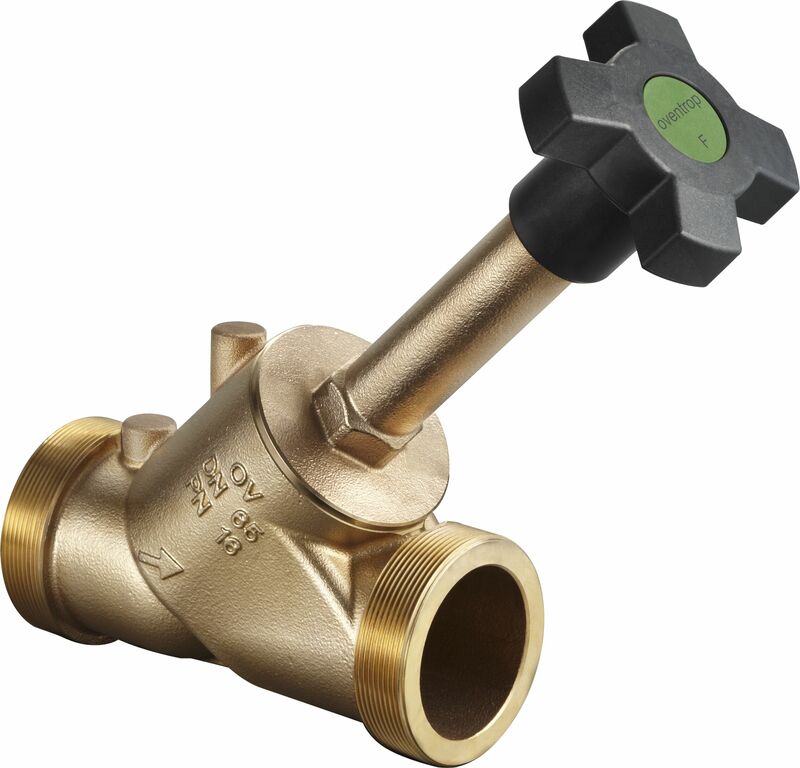 Oblique pattern valve made of bronze. 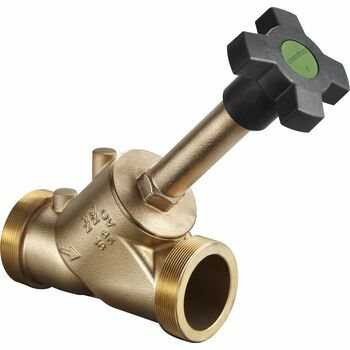 Without dead zone, all components in contact with potable water made of non-brass materials, valve disc made of stainless steel, non-rising stem, maintenance-free stem seal due to double O-ring made of EPDM. Draining orifices on the side of the handhweel. Display of the valve setting with the help of the stroke index integrated in the handwheel even if the valve has been insulated. DVGW and SVGW certified (PN 10).